While the pollution in winters is mainly attributed to stubble burning and lack of wind, the dust storm due to high wind speeds seems to have caused severe air pollution in the national capital region (NCR) around this time of the year. After hitting 'hazardous' levels in November last year, the pollution in Delhi is once again on the rise due to dust storms in the western parts of the country. 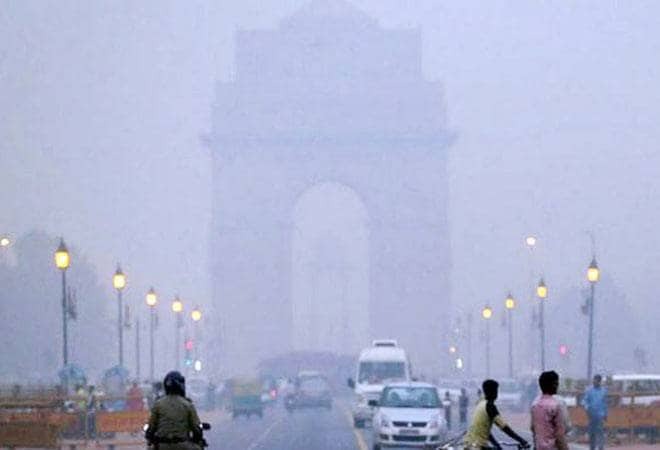 While the pollution in winters is mainly attributed to stubble burning and lack of wind, the dust storm due to high wind speeds seems to have caused severe air pollution in the national capital region (NCR) around this time of the year. The real-time air quality index recorded in South Delhi's RK Puram area had breached the 999 level on Thursday morning. Anything above 100 is considered unhealthy by the Central Pollution Control Board (CPCB). According to CPCB, Delhi-NCR witnessed a sudden spurt in air pollution on June 13. The average PM 10 levels was over 800 today, over four times the average air pollution recorded this month. The PM (particulate matter) 2.5 pollution level, which measures particles with diameters that are less than or equal to 2.5 microns in size, is yet to breach the pollution levels it had crossed in winters last year. PM 2.5 can cause severe health complications than PM 10 as smaller particles can enter deeply into our lungs. The average PM 2.5 pollution on Thursday morning was recorded at 284.1 by CPCB. What's worse is that the current weather conditions are likely to stay for the next two days, CPCB's weather forecast showed. According to the World Health Organisation (WHO), the first 14 of the 15 worst cities in terms of air pollution are in India. Delhi ranked sixth most polluted on that list. Air quality in the capital has gone from bad to worse in recent years, prompting the state government to shut schools and ban sale of diesel vehicles in the past. Apart from vehicular and industrial emissions, one of the main reasons for air pollution in Delhi-NCR is the construction dust.